Gigabyte's battery-packed (94.24 Wh) Aero14 has been upgraded with a VR-Ready GTX 1060. Other specs include a QHD IPS display, storage up to 1TB m.2 PCIE SSD, and RAM up to 32 GB DDR4-2400. GIGABYTE's Aero 14 first released in Summer 2016 to much anticipation due to its powerful internals and enormous battery—all in a package under an inch thin and just over 4 lbs. Options for 14-inch gaming and workstation-class laptops are usually somewhat limited, so the addition of another VR Ready 14-inch laptop to competitors Razer Blade 14 and MSI GS43 is very welcome. One of the chief selling points of the Aero 14 is its enormous 94.24 Wh battery, giving it some of the longest battery life around for a quad-core notebook. Other highlights include a QHD IPS display, storage up to 1TB m.2 PCIE SSD, and RAM up to 32 GB DDR4-2400. In terms of connectivity, the Aero 14 offers HDMI 2.0, Mini DisplayPort, USB Type-C 3.1, and an SD card reader. All of this is packed into a 13.2" x 9.4" x .8" frame weighing 4.2 lbs. 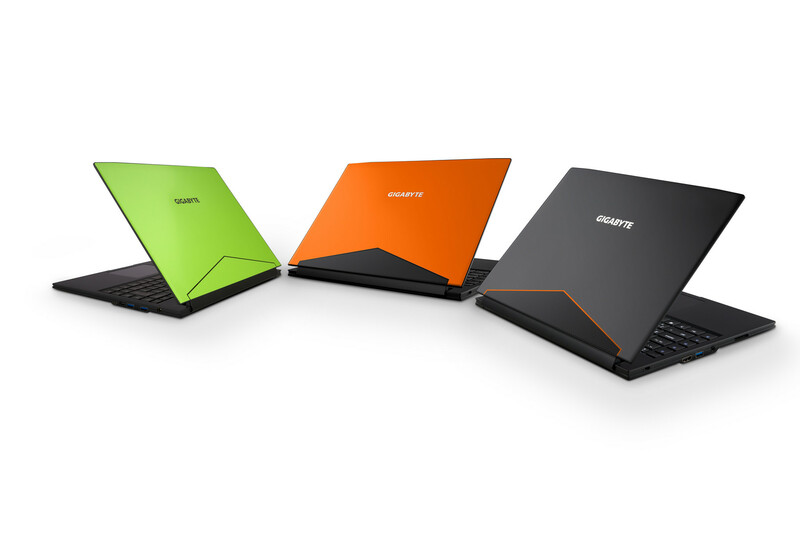 The updated Aero 14 is available in 3 colors: black, green, and orange. Pricing and availability have yet to be announced, though the previous generation debuted at $1500+. and a 94.24 Wh large capacity battery to further extend mobile usage. All this is packed within an ultra-slim 19.9mm chassis. mobile powerhouse when it comes to gaming and professional work. three colors to choose from, each color is finished with “Nano-Imprint Lithography” (NIL) top aluminum cover, showcasing fine details and textures that screams unique qualities. latest DDR4 memory and a large 1 TB M.2 PCIe SSD with up to 2000MB/s read speed, outstanding built in speakers and internal SD card reader. 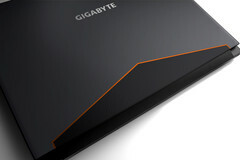 GIGABYTE has further added a whopping 94.24 Wh battery, with almost twice the capacity compared to other laptops, taking mobility to a whole new level. The AERO 14 is the professional laptop that everyone is waiting for.